Kofi Annan was a giant on the international stage. As a Diplomat, he was a ‘stubborn optimist’ and we here at Methodist Central Hall Westminster pay tribute to his lifetime of service. 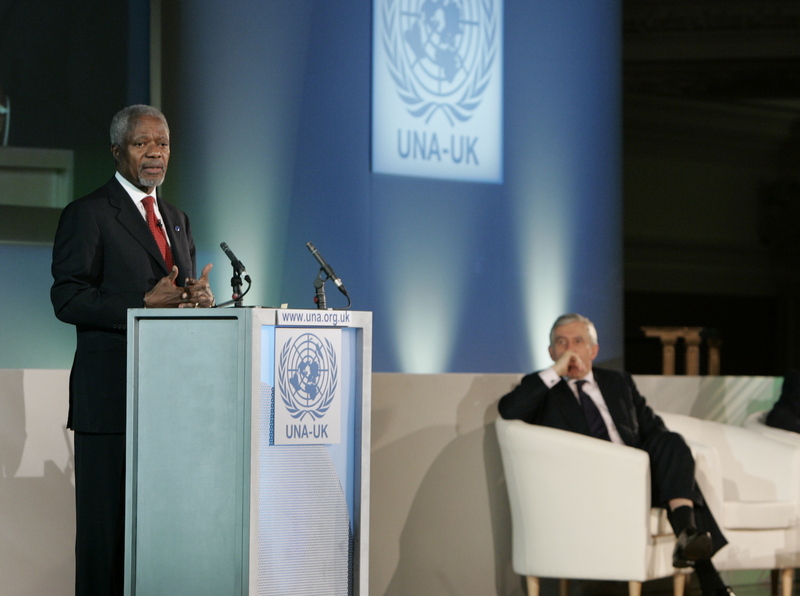 As Secretary-General of the United Nations, Kofi Annan visited Methodist Central Hall in January 2006. He addressed our Great Hall, the very room where the United Nations General Assembly was formed in 1946. Mr Annan spoke about the three freedoms which all human beings crave — freedom from want, freedom from war or large-scale violence, and freedom from arbitrary or degrading treatment. Following his address Mr Annan was presented with a gift by the Superintendent Minister Revd Martin Turner. 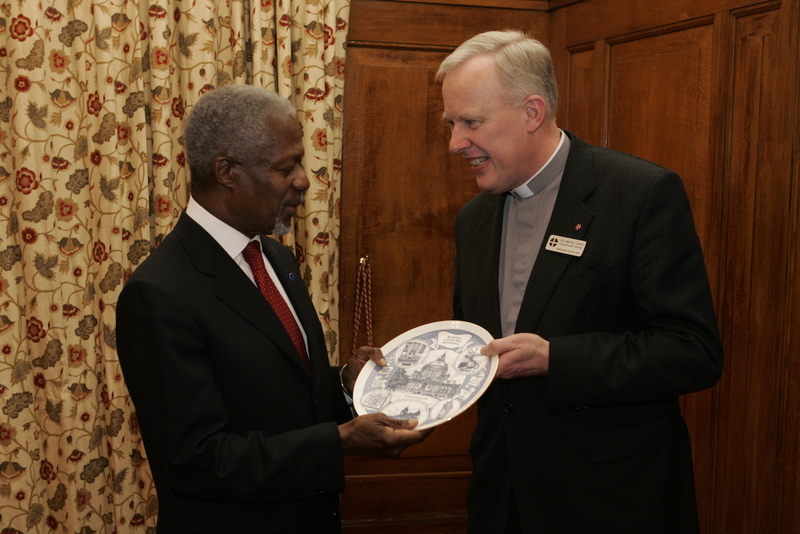 Methodist Central Hall Westminster holds the family and friends of Kofi Annan in our prayers today. We continue to pray for the United Nations as it faces deep challenges in a troubled world.